Nathan Griffith Released from Jail! Well that was unexpected! Nathan was supposed to serve at least 30 days in jail for resisting arrest (among other things) when he got caught drinking and driving for the third time. Oddly though he ended up only serving about a third of that time. 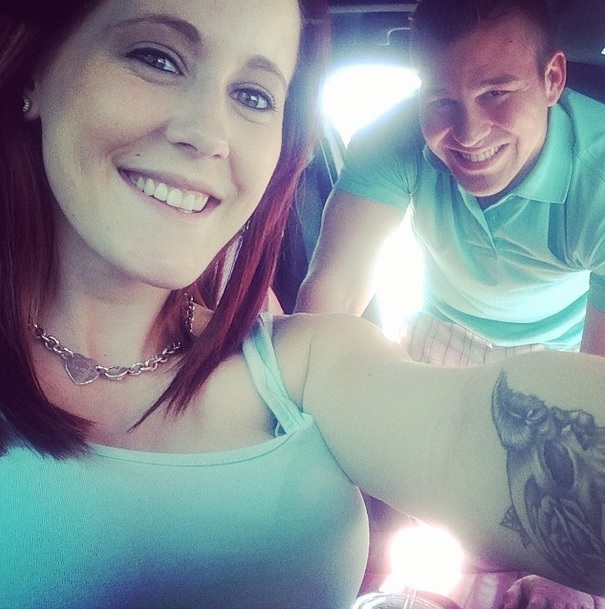 Nathan got out of jail just in time for Easter dinner and another doctor’s appointment for Jenelle today. I’m still fairly certain that he has not gone to court for the actual DUI yet, which again is odd because I thought those types of cases were done right away. It’s a real concern that he may be headed right back behind bars since this is his third DUI offence which will leave Jenelle with a newborn to raise on her own. However in Jenelle-land it’s all smiles when she welcomed home her man. 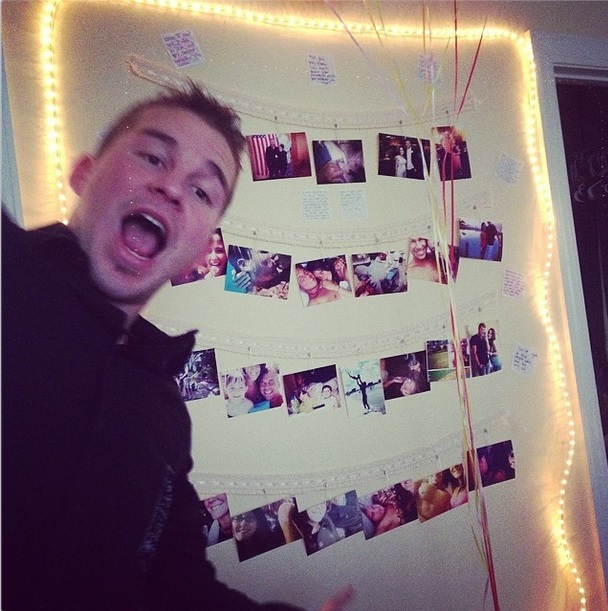 She surprised him with a special wall she decorated with photos of the two of them and some lights. (Pictured above) She had been working on that little project while he was in jail to keep herself busy I guess and to have something special waiting for him when he got home. Jenelle and Nathan’s relationship will be discussed on this week’s Teen Mom 2 Reunion, see a sneak peek HERE! Previous Previous post: Photos! Leah Takes Her Daughters to the Aquarium in Myrtle Beach!